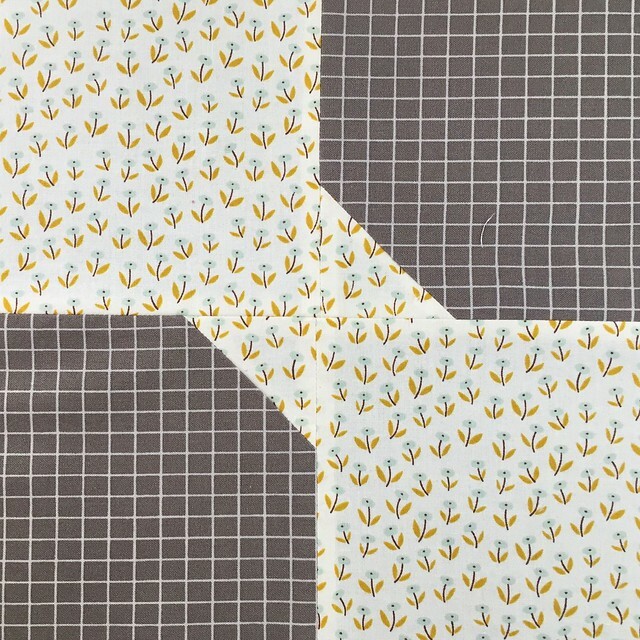 Bow tie is another block in my beginner quilting series. 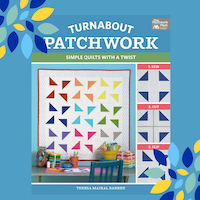 This block is not only easy but it has quite a bit of potential to make different quilt designs. 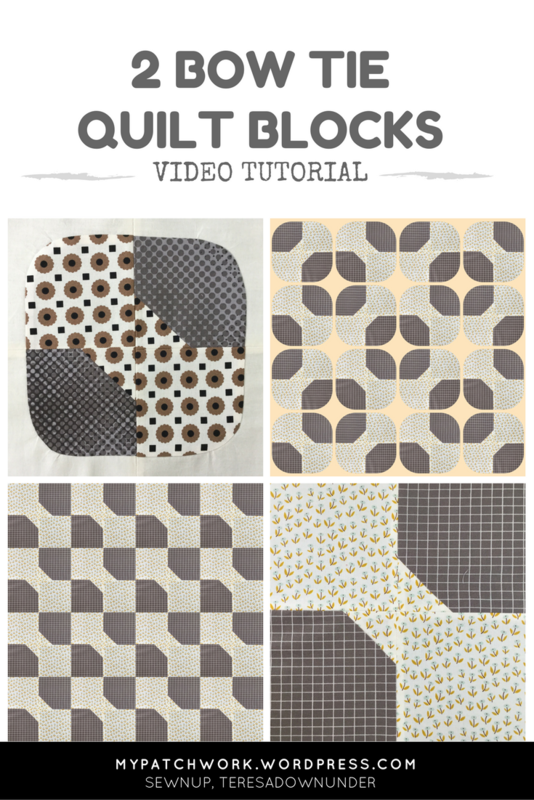 This is the block you make with this video tutorial. You can preorder on Amazon now. 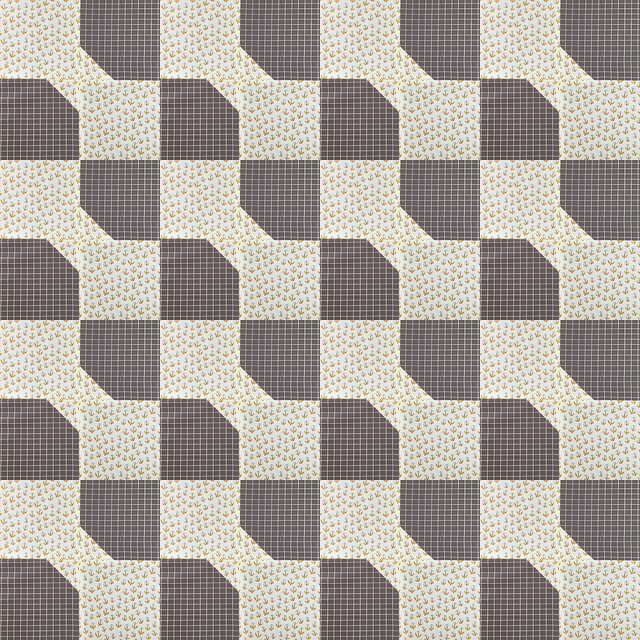 This is an easy 16 patch block that when put together looks like weaving. Use high contrasting fabrics for best results. 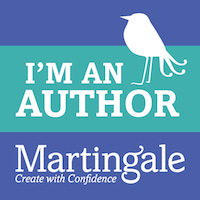 I’ve made a couple of bow tie tutorial but this one is particularly special. 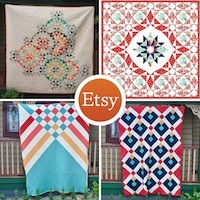 Bow tie is a quick and easy block and you can make many different quilt layouts with it. For a special look this block looks great with rounded corners. 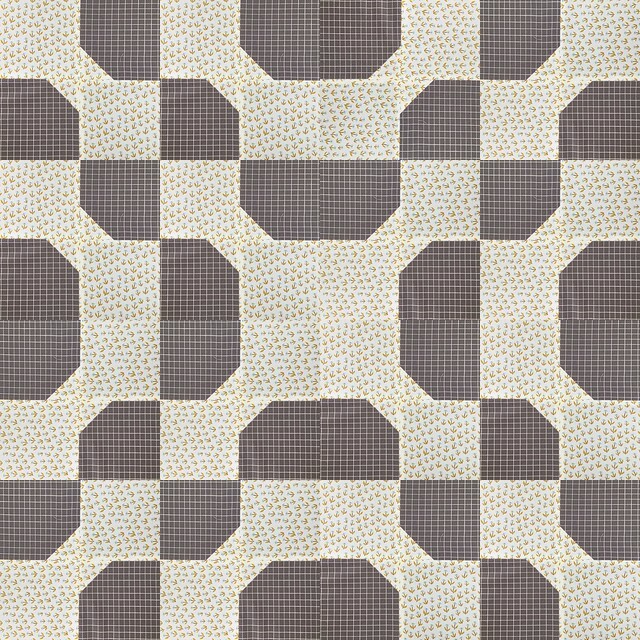 Note: the rounded corners can be applied to any 4-patch block. 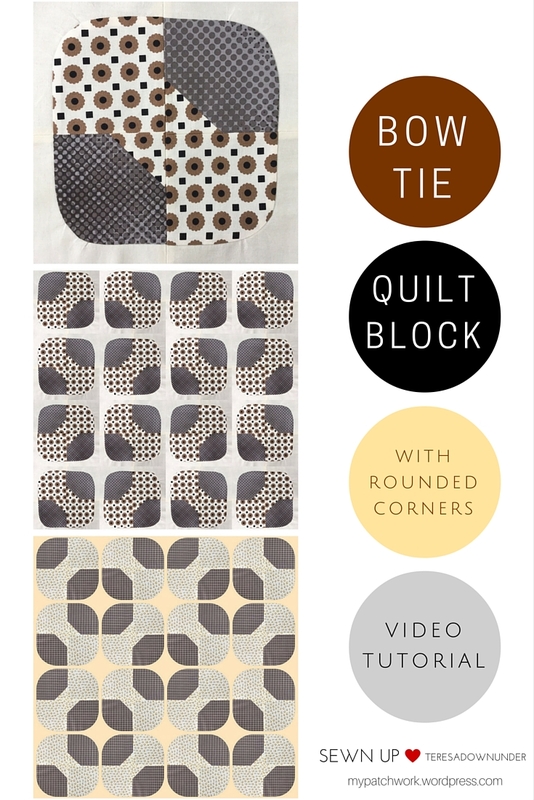 In this tutorial you’ll learn to make a quick and easy bow tie block but also how to add a rounded corner to any block. Sewing curves is a bit fiddly but at the same time it’s quite straight forward. The trick to sewing curves is using lots of pins to make sure that both fabric edges remain flat while being stitched so that you don’t end up with puckering. 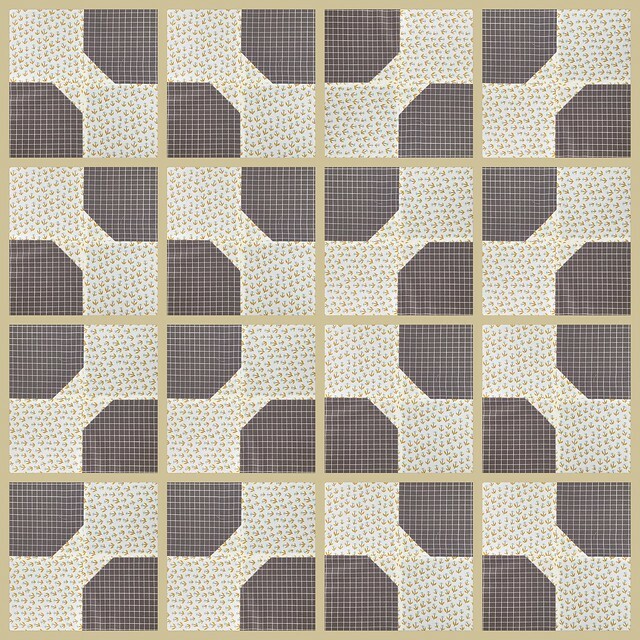 This is the block you can make with this video tutorial. 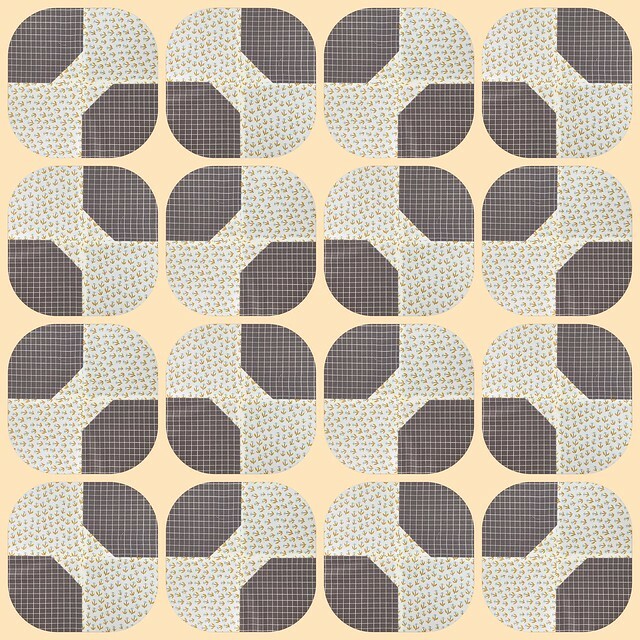 This quilt design is like something from the 60s, don’t you agree?